Welcome to the Napa Valley Fellowship of Alcoholics Anonymous. If you believe you have a problem with alcohol and need to talk to someone, please call our A.A. Hotline – 707-500-7001. 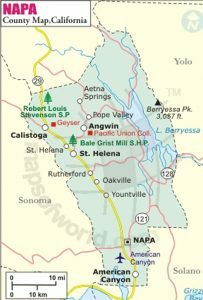 We are located in the Napa Valley, our district includes Napa, American Canyon, Yountville, Oakville, Rutherford, St. Helena and Calistoga.